Here are my books this week! This meme is hosted by Marcia at The Printed Page. You should check out her blog and see what others have received and to play along. Lady Elisabeth Kerr is a keeper of secrets. A Highlander by birth and a Lowlander by marriage, she turns to the auld ways, desperate to conceal a generations-old scandal that taints her family's name. Her husband, Lord Donald, has secrets of his own, well hidden from the household, yet whispered among the town gossips. Elisabeth cannot--must not--discover the truth, or all will be ruined. His mother, the dowager Lady Marjory, hides gold beneath her floor and guilt inside her heart. Though her two abiding passions are maintaining her place in society and coddling her grown sons, Marjory's many regrets, buried in Greyfriars Churchyard, continue to plague her. One by one the Kerr family secrets begin to surface, even as bonny Prince Charlie and his rebel army ride into Edinburgh in September 1745, intent on capturing the crown. The Schulz family, all members of the Mormon church, is trying to survive in Germany, during and after WWII. When Hitler invades Poland and the war officially begins, the family is quickly feeling its strain, as they have less and less food to eat. Anna Schulz often stands in line for hours, only to find the market shelves empty. This becomes the least of her worries though, when, one by one, the men of the Schulz family head off to defend their country. The story follows Dieter, the middle son, just 10 years old when the war begins, as he learns to cope with the war around him. Read about his stubborn streak and spontaneity, and how it gets him into trouble, how he defies Hitler's law by giving aid to a Jew and subsequently finds himself in the biggest trouble of his life, and what happens when he has to decide between loyalty and love. Will Dieter ever be able to forgive himself for all of the things he has had to do to survive the war, or will he have to live with his guilt forever? Nice mailbox - Here Burns My Candle looks particularly interesting. Enjoy! Wow...some nice books there. Enjoy them all. Here Burns My Candle was not a quick read, but it was very good! There is a glossary in the back. 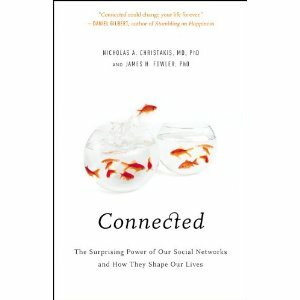 I found it after I read it, though I did give a quick look during the first chapter. Nice mailbox -- glad you received your win! Ooh happy reading! Great books. My mailbox is at The Crowded Leaf. Here Burns My Candle sounds very good. 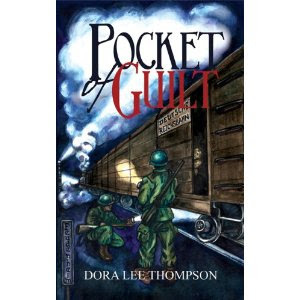 Pocket of Guilt is a new to me title. It sounds good too. Have a great week!